Doveton House is situated in the affluent suburb of Parktown, one of the first neighbourhoods of Johannesburg. On Escombe is a tranquil place to rest and is very centrally located in the bustling Parktown. 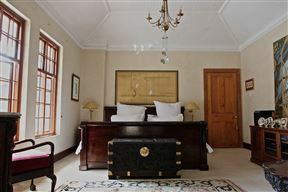 Unwind in style at this gem, ideal for two guests.